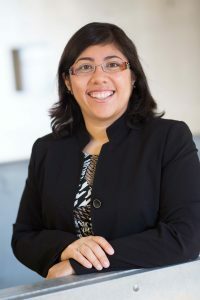 Jimena Ramirez, a professor in International Negotiation at IÉSEG, and a member of the School’s center of excellence on negotiation, recently published a research paper* looking at how interpersonal relations can influence the dynamics of negotiation processes. We spoke to her about the outcomes of this work and the importance of perspective taking in business negotiations. 1. In this research, you find that interpersonal relationships influence the expectations of negotiators. How does this manifest itself at the negotiation table? Expectations in negotiation can be expressed as offers. For example, if you are selling a car, how much do you expect the other party to offer? In this research*, we explored the influence of close relationships on the expected offers. Our paper shows that negotiators expect more from those that are close to them. Furthermore, we found that when these higher expectations are not met, negative emotions can arise, which can result in negative (negotiation) outcomes for both sides. For example, our data shows that if I am buying a car from a close friend, my expectations are that he/she will make an offer that is beneficial for me. However, if both parties expect to receive beneficial offers for themselves, both parties’ expectations will be violated, which results in anger and disappointment, subsequently preventing them from reaching an agreement. 2. You explain that perspective taking is therefore an important element for negotiators facing this kind of situation. Can you explain why? Perspective taking has been shown to have a positive effect in reaching mutually beneficial agreements in negotiation. As opposed to empathy, which is emotional, perspective taking is a cognitive process that allows negotiators to understand the priorities and interests of the counterpart better. This understanding leads to mutually beneficial agreements. In our study, we demonstrated that perspective taking allowed the participants to expect less from those who were close to them. 3. What would your recommendations be, therefore, for managers in this situation? Managers focus on building relationships with their teammates, across departments, with their suppliers and so on. For some managers, like Key Account Managers this is at the core of their job. They should be aware that the closer those relationships are, the more they will expect from others. And when expectations are high, expectancy violation is likely and it can in turn hurt the relationship they worked so hard to build. When negotiating with people who are close to them, we recommend managers to put themselves in the other party’s shoes (take perspective), specifically to think about how the other party has contributed to the relationship, to prevent themselves from expecting too much from their counterparts. * “I Expected More from You: The Influence of Close Relationships and Perspective Taking on Negotiation Offers”, Group Decision and Negotiation (2018), co-authored with Jaime Ramirez-Fernandez and Lourdes Munduate. Disclaimer: The views, opinions and positions expressed within these guest posts/articles are those of the author (s) alone and do not represent those of IÉSEG School of Management /ICON. ICON welcomes all feedback and comment on articles posted on this blog: icon@ieseg.fr. January 2019: What is the ISDS Landscape under the “New NAFTA”?